We hear it often: avoid charging too much on your credit cards during the holidays. The reason, of course, is to save money on interest while avoiding finding yourself paying for the holidays a year from now. But there are legitimate reasons to charge your purchases and if you can pay the balances off by the time you’re pulling the Christmas decorations down, it makes even more sense. Here are three reasons why cash isn’t always king during the holidays. This is the big reason why charging your purchases isn’t such a bad idea. When you use your Visa or Mastercard, you’re protected by your card network’s extended warranties. 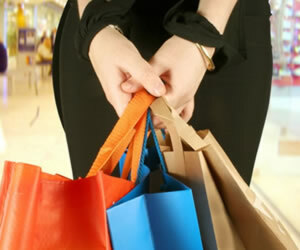 If you do a lot of online shopping, odds are, you’ve received something that was damaged or not as it was advertised. The credit card heavy-hitters have those protection provisions built into their offers. Visa has both Purchase Security and Extended Protection programs and MasterCard’s protections are comparable. Plus, most of your purchases are covered by some kind of warranty program, too, that go beyond the manufacturer’s warranty. If your wallet is stolen, any cash that’s in it is lost. Your credit cards, however, are covered. Any fraudulent charges won’t land on your shoulders since your credit card network has stipulations that protect you from unauthorized purchases. If you’re out on a Saturday morning for a bit of last minute shopping and you’re not carrying a credit card but instead have a wallet full of cash and it’s stolen, you can be sure you’re on your own with the loss. If, instead, you’re carrying just a bit of cash because you’re planning on making your purchases with your credit cards and they’re stolen, you have the protection on the other end, courtesy of your credit card company. Unlike cash, you’re rewarded when you use your credit card to make purchases and if you have a credit card with quarterly bonuses, you’re in an even better position to earn those reward points. These days, most cards do have some kind of rewards program, whether it’s miles, cash or hotel credits. It’s definitely a win-win for you, provided you use your credit card when making your purchases. Of course, this is in no way to suggest you should throw every caution to the wind. You do not lessen the benefits of using your credit card if you pay the balance in full. If you can’t pay your balances within a month or two, it might not be to your advantage to use your credit. Dragging your payments out can quickly eliminate any benefit you earned for using them. Weighing the options is always going to be your best bet and you have to decide which is best for your particular needs. What if you could pay for everything with a cash alternative that still allows you to take advantage of the perks associated with a credit card? A prepaid credit offer might be your perfect solution. You still enjoy the benefits associated with your card, including fraud protection, without facing a huge credit card balance by the time the new year rolls around. The good2GO prepaid MasterCard is a perfect example of how you can have the best of both worlds. In its most simplest form, you’re simply converting your cash into another form, one that has all the protections you expect from a credit card. No credit check is required, there are no interest fees since you’re using your own money, you enjoy full MasterCard protection and benefits and you can direct deposit you paycheck. You can also pay your bills online and wrap up your online holiday shopping, too – which, of course, is something you can’t do with cash. There is no annual fee, though a one time $9.95 application fee is tacked on. It’s a small price to pay, though for the peace of mind this and other prepaid credit cards offer. Your ATM fees are similar to those of your credit card, without the hassle. Whatever route you ultimately take should be based on what’s best for you and your needs. If you do use your traditional credit card, be sure to review the terms and conditions before you head out for your shopping spree and as always, we encourage you to pay the balances in full each month whenever possible. At a minimum, you should pay considerably more than the minimum due.